At present there are 6,000 people on the housing list in Cork City and approximately another 1,000 joining it every year. Sinn Féin proposes to halve the number of people on the housing list within 3 years by providing 6,000 social and affordable housing units. This is 3,000 more than currently planned. At least half these would be 2 bedroom units. This is to reflect the decreasing household size within the city and accomodate the many people on the housing list whose needs are not met by the council's existing stock of 3- and 4-bedroom houses. At present, people on the housing list don't know whether they are at the top, the middle or the bottom. They don't know how long they must wait or how decisions are reached. And there is nowhere they can go to have these questions answered. What is clear is that there are huge difference in the amount of time people spend on the housing list - from 6 weeks to 10 years. Also clear is the potential for corruption and cronyism in a system where decisions are reached behind closed doors. Sinn Féin is calling for the introduction of a transparent points system for social housing. Applicants would be awarded points on the basis of criteria such as financial status, number of dependents, current accomodation, and medical condition. They would be informed of the number of points awarded them and the reason for the award. They would be able to view their exact place on the housing list and estimate the length of time they will be waiting. And there would be a transparent appeals process for people who feel they should be placed higher on the list. More than 500,000 people in Ireland live in apartments. However, there is still no proper regulatory framework for the Property Management Companies responsible for the upkeep and servicing of apartment complexes. Young couples have found themselves paying annual fees of up to $2,500 for a bad service. There is little transparency about the level of fees or how they are spent. Sinn Féin is calling for regulation of the property management industry, with adequate protection for consumers regarding the level of service charges and how they are spent. Legislation must ensure the transfer of control over Property Management Companies from developers to apartment owners takes place promptly and that consumers are fully informed of their rights. In the past, bad planning has seen houses and apartments built without the facilities a community needs being provided. The result is increased car-dependence, anti-social behaviour, and a reduced quality of life. In future, planning must match population growth with the development of public transport, childcare, retail outlets and spaces for recreation. Sinn Féin wants an asessment of these needs incorporated into the planning process. We also propose that the council carry out an audit of the social and recreational needs of existing communities in the city and incorporate an investment programme to meet them into the new City Development Plan. Cork City has outgrown its boundaries. This results in a shortage of land and a higher cost of housing in the city. It means communities in Togher, Wilton, Grange and other areas which are an organic part of Cork City come under the jurisdiction of the County Council. 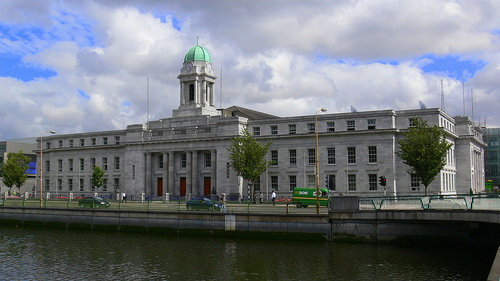 Cork County Councillors have resisted all aproaches from the City Council to have the boundaries extended. However, the Minister for the Environment has the power to extend the city boundaries, with or without the consent of the County Council. Sinn Féin demands that power be exercised. Expanding the city boundaries will mean there is more land for housing. It will make the target of providing 6,000 social and affordable housing units within 3 years achievable. And it will ensure better services and better representation for communities that straddle the current city boundary.